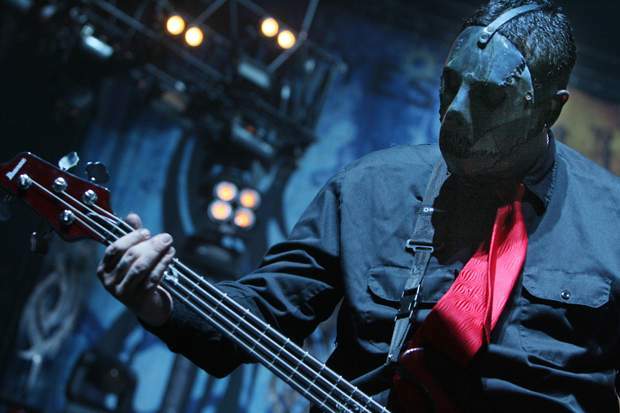 According to The Des Moines Register, the Iowa Supreme Court ruled on May 6 that a lawsuit filed against a Des Moines pain doctor in the fatal overdose of Slipknot bassist Paul Gray brought on behalf of the musician's daughter will be allowed to proceed, even though she wasn't born when Paul died. Gray's widow filed a lawsuit against Baldi four years after her husband's death but a district judge dismissed the case because he said it was filed two years too late under state rules. However, the Iowa justices decided that October Gray could bring a lawsuit for the loss of her father's love and emotional support, known as loss of consortium, even though she was still in her mother's womb when Gray died of a drug overdose in May 2010. Justice Daryl Hecht wrote in the ruling that October Gray, who is now 5, could still suffer the emotional effects of her father's death after her birth, making her claim eligible to be decided by a jury. Hecht wrote: "Whatever deprivation of consortium October Gray is currently experiencing is no less real just because she did not experience it while in utero." Dr. Daniel Baldi was accused of causing the deaths of Gray and eight others with his careless prescription habits.